Page updated Jul 17, 2017. First published Jul 17, 2017. Age-related muscle loss is a major concern for older athletes, affecting a significant proportion of the over-50s. 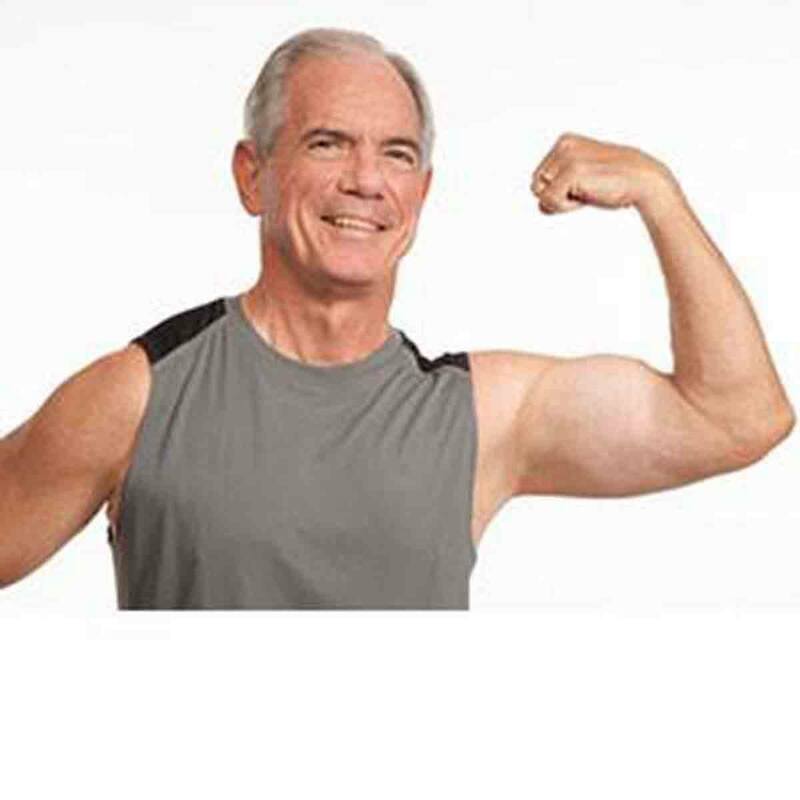 Many of the supplements we now see on the market specifically claim to help reverse the effects of age-related muscle loss, such as the various niagen supplements that promise to raise NAD+ levels and increase muscle regeneration. 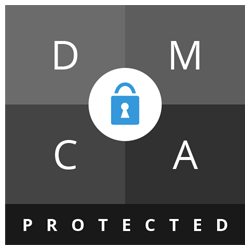 Why is this issue so important? For one, muscle loss is said to decrease life expectancy and impact overall health. A serious increase in muscle wastage can also affect day-to-day quality of life, as numerous activities are closed off and sedentary habits become the norm. Below, we explore how to recognise age-related muscle loss, the different factors that cause it, and crucial ways that you can stop it from happening in the first place. 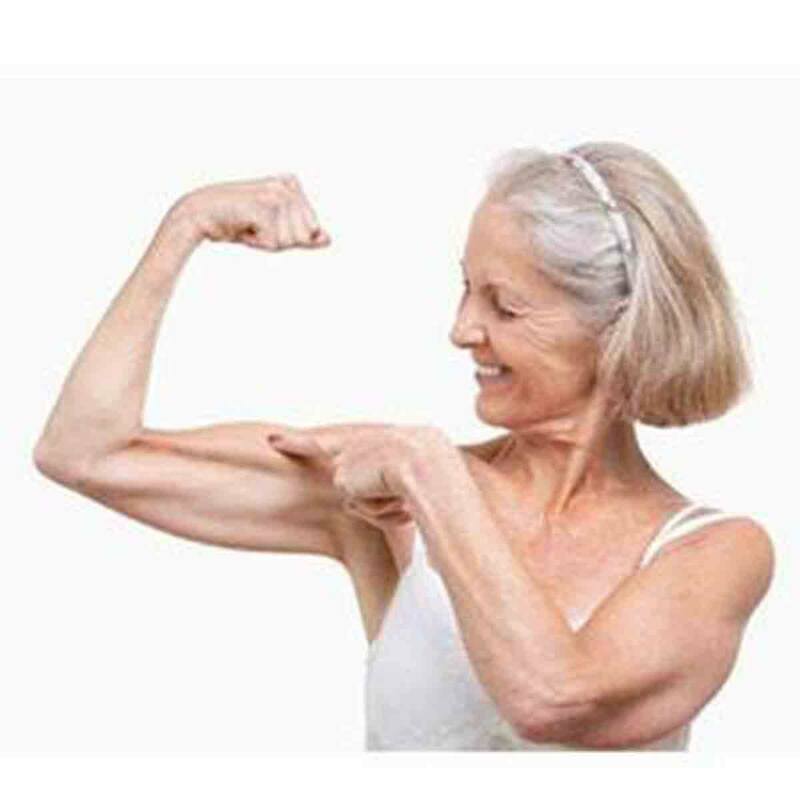 First things first – what is age-related muscle loss? Age-related muscle loss (also known as sarcopenia) is a natural process where muscle strength and mass is steadily lost. This process normally begins around the age of 30 and steadily accelerates as life goes on, reaching chronic levels around the age of 75. On average, a normal adult can expect to lose 3-5% of their muscle mass each decade starting from their 30th birthday. How can I tell whether I suffer with sarcopenia? Muscle loss manifests itself as a reduced feeling of strength, which should become obvious over time. You may notice symptoms such as feeling unable to move or lift objects which previously felt light, or you may become tired more easily whilst doing the same basic routines. Your walking speed may decline and old interests in remaining active could appear to be more of a chore than in the past. Losing weight without following a calorie-restricted diet or exercise program may also indicate age-related muscle loss. For those that are still confused, medical tests exist to help give a clear diagnosis. Many GP surgeries still operate a very simple handgrip-strength test that can clearly indicate age-related muscle loss. A doctor should also be able to tell you whether your symptoms are indicative of muscle loss or an indicator of a more serious medical condition. If in doubt, always check with your doctor. What factors can cause or accelerate age-related muscle loss? As you might expect, muscle loss is hugely exacerbated by not using the muscles enough. Wholly sedentary lifestyles (where people walk or move as little as possible) is hugely damaging in this regard, potentially causing muscle loss at unusually early stages. The cause does not need to be laziness either; acute examples of muscle loss often follow after someone has experienced an accident/illness and the associated bed rest that follows this. Although habitual immobility is the most serious version of this factor, even smaller periods of time spent not moving can cause muscle loss in older people. Short periods of immobility can also cause the first stages of a vicious cycle, effectively decreasing initial muscle strength in such a way that it makes it harder to return to an active lifestyle. As highlighted above, serious illnesses place a huge toll on the body that can increase the chance of age-related muscle loss. Chronic diseases of the heart, liver and kidney have all been found to increase the chance of sarcopenia in older patients, whether through immobility or through simply putting the body through serious stress. The same effect can also be seen in cancer patients, either as a result of the condition or due to the physical toll taken by treatments. Other diseases (including arthritis, tuberculosis, lupus, Crohn’s disease, vasculitis and others) can also contribute to age-related muscle loss for a different reason. Those suffering with conditions like these tend to experience inflammation, causing the body to kill off and rebuild the affected cells. The resulting imbalance and other factors associated with aging can transform this process into one that effectively causes muscle wastage and loss at an accelerated rate. Diets that are low in protein or calories can also cause muscle loss. This is because the body begins to be starved of important inputs it needs to build muscle or burn fat. Whether this factor is specifically age-related remains to be seen, although many older people can suffer from poor diets due to the relative difficulty of preparing or shopping for food in old age. Now we know what the problem is, how can we stop or slow it? Age-related muscle loss can be hugely damaging to your quality of life and overall health, so what can we do to prevent or limit its effects? Below, we take a look at the three most important ways of slowing muscle wastage as you get older. This includes any routine involving weights or bodyweight resistance training (think weightlifting or push-ups). Strength exercises like these puts stress and causes tears on the muscles, stimulating the body to repair and grow them in turn. 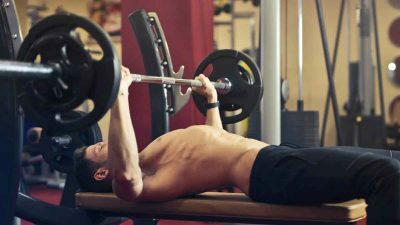 Routines like these not only stimulate and grow the muscles that are targeted, but also encourage the body to produce more hormones that promote overall muscle growth. 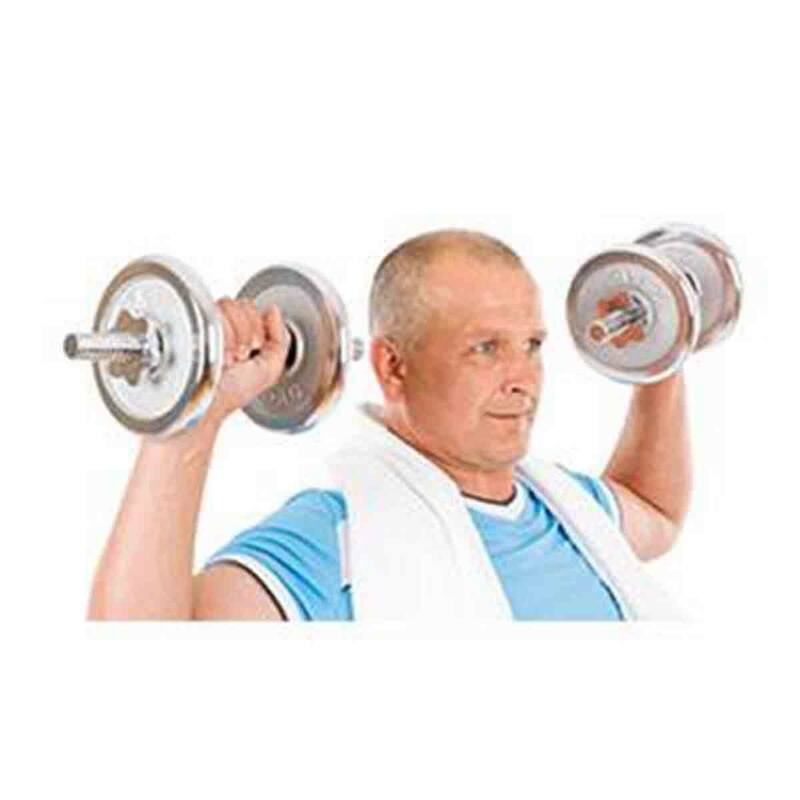 Routines like these can be hard for older people or those who are inexperienced in the gym, so it may be important to employ the help of a personal trainer or medical professional who can design some sensible routines. Maintaining proper form and working within personal limits are important for avoiding injury and targeting the right muscles in a sensible way. Many people may be put off by resistance training – it carries with it the greatest risk of injury and accident, and often requires a gym membership to realise. A good backup option might be to try out jogging, high-intensity hiking or cycling, all of which help to build stamina and overall fitness. Although endurance training can help you to become much fitter (which carries its own list of benefits), it’s not the best way to target muscle loss specifically. Experts still recommend trying a little bit of resistance training wherever possible, so be sure to try to mix it up occasionally to see the real benefits. For some, age and illness can make it impossible to start up really taxing exercise programs. However, we should remember that the real culprit behind muscle loss is immobility or a sedentary lifestyle – this means that it’s important to just get out there and do something, even if it involves just moving around! Several studies conducted on the over-60s have found that a regime of walking can slow the effects of age-related muscle loss, or have simply uncovered that those who walk to do their daily chores are less likely to have experienced the worst effects of sarcopenia. Although serious exercise is preferable, you may be able to avoid serious loss by just changing a few daily habits. Give it a try! The link between protein and muscle is clear for all to see, as protein is directly involved in all aspects of muscle regeneration and growth. As we become older, dietary protein actually becomes more central to this process, as the body needs to consume more to compensate for its own decline in efficiency. Older adults should look to consume around 20-35 grams of protein per meal, particularly focusing on healthy sources such as lean beef, chicken, fish (particularly tuna and salmon), eggs, nuts/almonds, and soy beans. For those struggling to consume high levels of protein as part of their ordinary diet, protein powders and supplements exist to provide necessary boosts as needed. For those already involved in resistance-based exercise, a creatine supplement could also magnify the benefits of training by several magnitudes, as well as provide a good source of protein. Omega-3 fatty acids are hugely beneficial to health whatever your age, and are known to accelerate healthy weight loss and muscle growth in those following a diet/exercise plan. Older consumers will also see a decrease in age-related muscle loss, as well as a helpful reduction in arthritic joint pain and stiffness. Omega-3 Fatty Acids can be taken in supplement form if necessary, or can be found naturally in fish, eggs and nuts. Aim to take around 2 grams of omega-3 daily in combination with resistance training to see the best results. The relationship between vitamin D and age-related muscle loss is not fully understood, so it remains hard to fully profile it here. One thing is clear: vitamin D supplements appear to increase muscle strength in older people and reduce the chances of old people experiencing sarcopenia-related accidents (such as falls). It is also known that vitamin-D deficiency is associated with sarcopenia. Vitamin D is not typically found in foods we normally eat, but it is produced naturally within the body when it is exposed to sunlight. Vitamin D deficiency remains surprisingly common in the developed world, meaning that supplements could be the answer for many. This treatment may be available to menopausal women. It artificially replaces the hormones that are lost during menopause, which has been proven to reduce belly fat and increase lean muscle mass. The treatment is also thought to combat age-related muscle loss. Although this looks like an easy option on the surface, HRT should only really be considered as a last-resource treatment for sarcopenia, as it can increase the risk of cancer or other serious health problems. This drug is administered through an IV, and has been shown to stimulate the release of a hormone known as ACTH. It is most commonly used to prevent muscle atrophy in people who have suffered a physical injury or are taking certain muscle-wasting medicines. More research is needed before this treatment can be widely used as a treatment for age-related muscle loss, although we may see it used more often in the future. As a sports nutritionist, Tory has helped hundreds of clients, as well as herself, get into their ideal shape after years of struggling. Her expertise makes Tory an invaluable member of our research team. Tory spends her free time documenting her journey through the diet industry for an upcoming book. Testosterone Boosters: Do They Really Work? Citrulline Malate – Does It Power Your Workout?